Socialites at the Saddle and Cycle Club, Foster Avenue, Chicago, 1955. Original image available for purchase here: Saddle and Cycle Club . 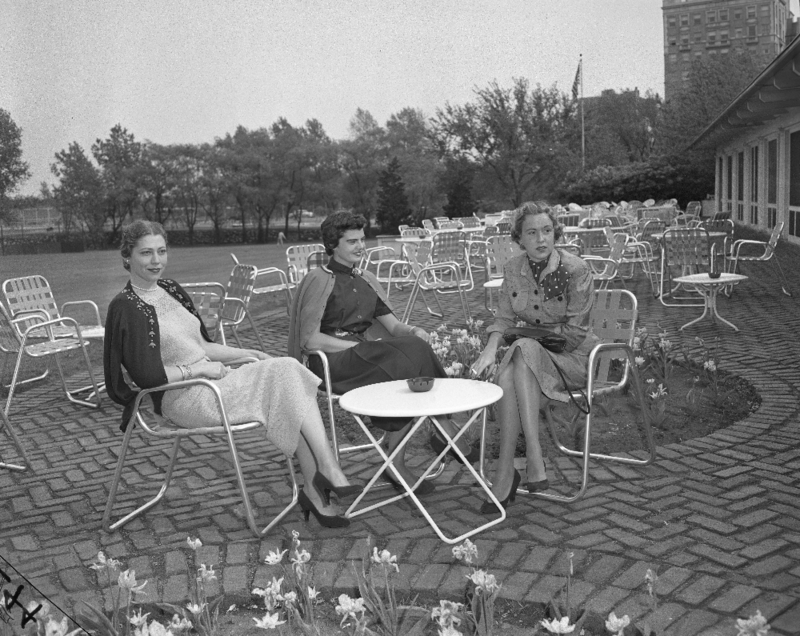 From the seller's description: Chicago socialites, Mrs. James H. Prentiss Jr., Mrs. Frederick C. Pullman, and Mrs. Edward Gardner III, at the Saddle and Cycle Club in Chicago, May 11, 1955. When built, the main club facilities were downtown and this facility was for cyclists and equestrians riding along the lakefront. Until the Lake Shore Drive was extended north of Foster Avenue in the 1950s, the club had its own private beach. In fact, the beach used to only be 100 feet from the original club verandah and there was a pier and boat house on site.